Cebu Pacific, the Philippines' largest carrier, has launched a new campaign to mark its 23rd anniversary. “Fly to More Fun” reaches out to travellers in key Cebu Pacific markets such as the UAE to share with them the great experiences and attractions that the Philippines has to offer and how easy it is to get to these places with Cebu Pacific. 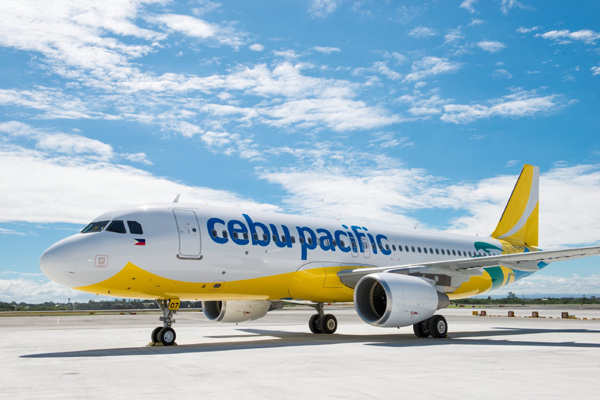 For UAE-based travellers looking for cost-effective and value-for-money holiday destinations, Cebu Pacific’s new campaign promises to offer a memorable vacation experience in the Philippines during its prime summer season. Kicking off with a special video that showcases some of the Philippines’ best destinations, such as Boracay, Cebu, Siargao and Palawan, the campaign highlights the feel and experience of a great vacation in the Philippines. Coinciding with the “Fly to More Fun” campaign and the carrier’s anniversary is a seat sale to various international destinations including Singapore, Australia, Japan and Korea, with one-way airfare from Manila for as low as Dh234 (terms and conditions apply), valid for travels from May to September 2019. The Philippines boasts of pristine beaches, diverse flora and fauna and some of the world’s best islands. With hotels and accommodation that cater to a wide variety of tourist preferences, the Philippines offers luxury island resorts to budget-friendly bed-and-breakfast lodges, all imbued with the warmth, great service and friendliness that Filipinos are known for. The country offers great value for money in terms of transportation, eating out or even shopping—with something to satisfy high-end flashpackers and even bargain-hunters. On top of enjoying the white sand beaches, there’s more to do even on a limited budget. There’s island-hopping; trekking mountains or volcanoes; getting the adrenaline rush through water sports or canyoneering at waterfalls; or travelling back in time visiting ruins of the Philippines’ past as a Spanish colony. Cebu Pacific’s “Fly to More Fun” campaign supports the revitalised “It’s More Fun in the Philippines” drive of the Philippines’ Department of Tourism. “The private sector is a vital partner in our tourism efforts, and Cebu Pacific is a prime example of how a company can align with the government to deliver sustainable and responsible tourism. The ‘Fly to More Fun’ campaign of Cebu Pacific amplifies our own efforts to bring joy to visitors and stakeholders as they delve into the unique sights, experiences and people that the Philippines has to offer. This goes well with their sustainable and responsible tourism campaign, Juan Effect,” said Bernadette Romulo-Puyat, secretary of the Philippines Department of Tourism.